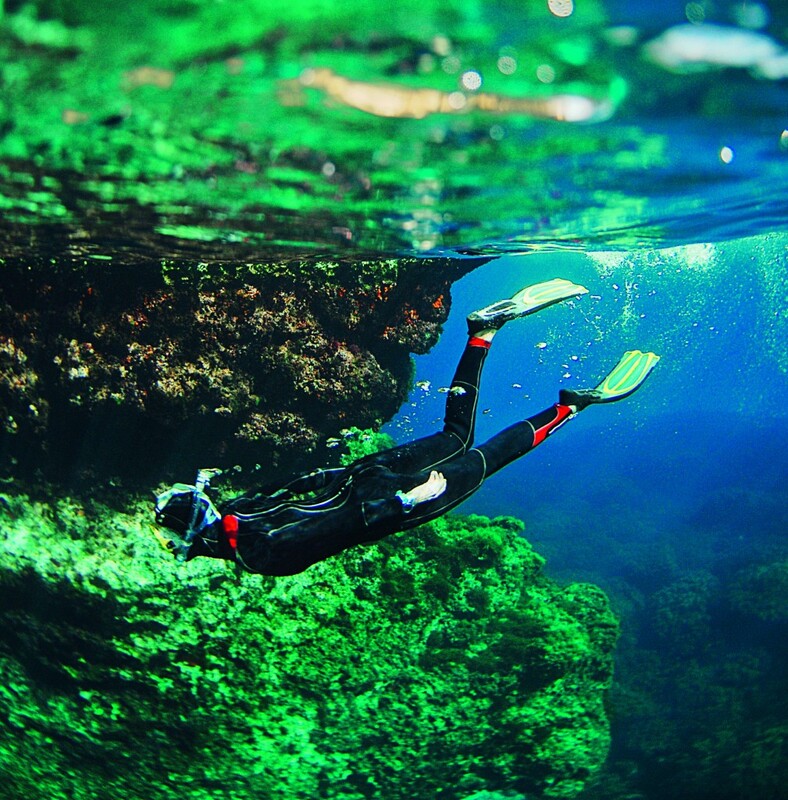 Malta’s clear Mediterranean sea is ideal for scuba diving. In fact the Maltese islands are blessed with a variety of reefs, caves and wrecks; the ideal habitat for fish and also a pleasant spot for some great diving in the Mediterranean. A great advantage of the Maltese waters is the calmness and clarity of the surrounding sea which offer optimal visibility. Besides the risk of encountering dangerous fish is extremely low around Malta; thus creating the best conditions for first time divers. For the experienced divers there are plenty of challenging dives to choose from. The depths of the dives vary, from the very shallow 12-metre Ghar Lapsi dive to Lantern Point, which has an underwater tunnel leading down to a well over 50 metres. If you’d love to experience this underwater adventure there are several types of diving courses and activities offered by locally licensed diving schools. Before plunging in the waters divers need to complete a medical statement form indicating they are fit to dive. All diving schools in Malta provide the service of a doctor who provides certification at a small fee. Medicals from other countries are acceptable, provided that the diving centre is presented with a copy. Divers who wish to dive unaccompanied are required to have a buddy as well as to present a PADI Advanced Open Water or equivalent certification by other agencies (e.g. CMAS Two Star Diver, BSAC Sport Diver, SSI Advanced Open Water, etc). Prior to deciding on a diving spot it is recommended that you check with the diving centre. They can give you a knowledgeable opinion of suitable diving spots depending on weather conditions and your level of expertise. If you would like some information about diving in Malta kindly contact our Concierge Desk on concierge@excelsior.com.mt or on 00356 23192205. This entry was posted in 5 star hotel malta, About Malta, Diving Malta, Excelsior Hotel Malta, Holidays in Malta, Luxury Malta Hotel, Things to do in Malta and tagged blue sea, diving in malta, maltese islands, Mediterranean Sea on August 21, 2014 by Denise Camilleri. Lemongrass is a native ingredient to India and tropical Asia. It has been reported to have innumerable therapeutic and other health benefits. The herb relaxes the muscles thereby leading to the reduction of pain-related symptoms and it also has powerful pain relieving properties. It is useful for pains such as abdominal pains, headaches, joint pains, muscle pains, digestive tract spasms, muscle cramps and stomachache. This remedy helps the body repair its damaged connective tissue such as cartilage, ligaments and tendons and is thus recommended for these types of injuries. check out our Special August Spa Treatments. This entry was posted in 5 star hotel malta, Excelsior Hotel Malta, Le Grand Spa Malta, Luxury Malta Hotel, Spa and Wellness Malta, Spa Malta, Weekend Break Malta and tagged hotel malta, luxury malta spa, massage, spa breaks malta, spa resort malta on August 5, 2014 by Denise Camilleri.